I recently walked you through my 11 Productivity Tactics for reaching your business and personal goals. But what I didn’t tell you is how to actually identify what those goals are. This is by far the most important FIRST step you will need to take if you want to see any project or goal to fruition. 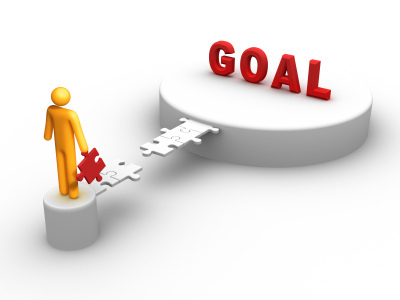 Your goals should be very personal to you, so I’m not going to try and tell you what they should be. But I can tell you how I went about deciding on my own goals for the year. The key is to keep it simple and specific. Start with one category or area of your life at a time, such as a project at work, or an important relationship, or your health. If you’re only setting goals around your work at the moment, then try to focus on the areas or projects that demand your focus and need productive action the most. 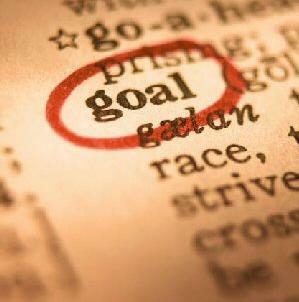 You can’t make a goal for every single one – you’d never get them all done! What aspects of your work and life need the most attention? It’s important to understand the process of sacrificing your “good” ideas for the truly great or worthwhile ones. And the same goes with your goal setting. For me, I decided to focus this year’s goals on (a) launching this Productive Artist business, specifically my consulting services and first eBook, as well as (b) expanding my filmmaking business with our slate of productions for the year. This is my simplified list of the specific categories and work projects that most need my focus this year, and will help me achieve significant professional and personal growth. Once you have identified the categories within which to focus, then take a few minutes with each one and describe what you want to see happen in a year for that aspect of your life. What would a successful outcome be that you could reasonable reach in a year’s time? You can describe it however you like – in prose or poetry, as a list, or a drawing – however will resonate with you the strongest. Personally, I am an avid list-maker. So I made a list. I took each project, and listed out the successful outcome I’d like to reach in each this year. Limit yourself to only 1-2 goals for each category or project, to prevent your overall list from becoming overwhelmingly long. And again, remember to be specific and actionable. Describe the “what” and the “how”. Once you write down what your 1-2 ideal outcomes for each focus category are, make sure you specify how you can go about achieving those. Or rather, what is your ONE ideal outcome in that category, and what are 1-2 ways or steps you could take to make that a reality? If you describe what you’d like to see happen in that category in a year’s time, then your actionable goal will then simply be how you plan to get yourself there. For example, one of my categories is to take my consultancy services to the next level, by securing more clients that I can help and make more income in return. To that end, I’ve decided I can achieve those results by (1) better marketing my services and skills (with the help of testimonials from past clients) and (2) designing one-to-many solutions (such as workshops) for my material to help more Artists at a time. Thus these have become some of my goals for the year, and I’ve made them actionable which has enabled me to begin making solid movement towards them. Now you do the same! After you’ve done the above, you should end up your own actionable list (or note or drawing) of specific outcomes you can achieve this year in your work and life. If you end up with too many of them, or they are still too vague and broad, go back and go through them again. Remember to simplify! Keep them as specific and actionable as possible, and you will be better setting yourself up for success. 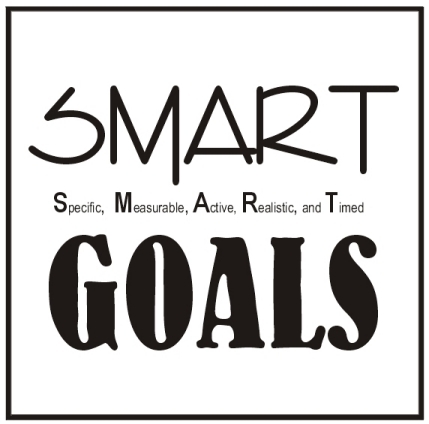 If you prefer an acronym, keep them SMART: Specific, Measurable, Actionable, Realistic & Timely. However you remember, the bottom line is that the more specifically you nail down the “what” you want, the more easily the “how” will come with it. Beyond that, the next step is to assign priorities and deadlines to your goals and start taking action… but that’s getting more into the weeds on the “how” to start achieving those goals. That’s your next assignment. But at least for now, if you’ve done the above, you can proudly say you’ve identified “what” your goals are – and that’s a very significant and rewarding thing itself! So happy Goal Setting, and feel free to ask me any questions or leave any comments you like below. I’m always here and always happy to help you simplify and specify.